Jonathan Marchessault and William Karlsson have struggled to find the back of the net since Dec. 22, scoring a combined three goals over 12 games. Phil Kessel, Dominik Simon and Sidney Crosby scored for Pittsburgh, and Casey DeSmith finished with 28 saves.Both goalies were exceptional against two of the more high-energy offenses in the league. 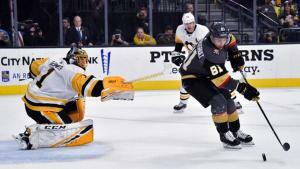 All 18 Vegas skaters had at least one shot, while 14 of Pittsburgh's 18 had one shot. 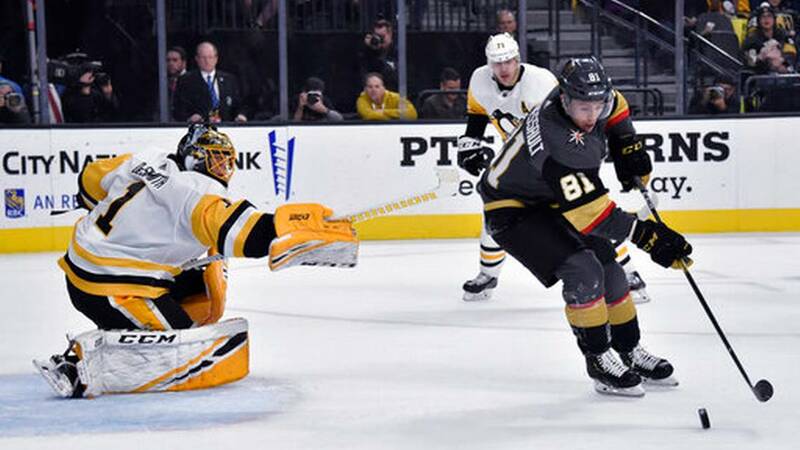 "It's a great team that you're playing, you're playing superstars over there, you're playing Crosby and you're playing (Evgeni) Malkin and those types of players - that's the fun part of these games," Vegas coach Gerard Gallant said. "I like the way our team responded tonight and I like the way that we competed and battled. It wasn't looking good when it was 3-3.